Hello there, fellow Pathfinders! I’m sure most of you are familiar with the process of character creation, at the very least one of a low level (between 1st and 4th level). But, some of this repetition in character development and designing comes at a cost – we overlook some truly bizarre and unique options for characters. Some situational, and others not so much. While these options aren’t great for every character, this post is here to highlight the choices as being available, and perhaps kindling interest in their use. When we think of a tower shield using warrior, what’s usually the thought that comes to mind? Using a large shield to block attacks with one arm while the other is jabbing from around the shield? How about planting the tower shield as a means to grant yourself cover against a dragon’s breath weapon? All of these are viable uses of a tower shield, certainly. But you (presumably) have two arms. Two arms mean you have room for two tower shields at once! Plant one tower shield, then the other. You have cover on two sides of your space, not just one. Plant one tower shield and hold the other. Not only do you have cover, but you still possess the benefits of your good ol’ single shield! These choices, of course, assume you aren’t too worried about sacrificing a little bit of Armor Check Penalty (or a lot. -20 ACP is pretty bad!) But it’s a small sacrifice to pay for the benefits it grants. Just don’t expect to be jumping anywhere! Often when we choose classes and races we go for the combinations which best suit both. Orc barbarian, elf wizard, fetchling ninja. All of these choices have synergistic qualities to them. This is both because of deliberate design choices, and because they stylistically go together. But how about choices which are just bizarre. That don’t tend to go well together, either mechanically or stylistically. Two words most people would refuse to ever put together into a sentence are kobold and kineticist. Admittedly, it’s understandable why. Kobolds receive a -2 Constitution (the main stat for a kineticist). That and, well it’s a kobold. But that aside, you don’t need high stats to make such a bizarre pairing work. All it takes is a few archetypes! Like dark elementalist (Int), psychokineticist (Wis), overwhelming soul (Cha). Overwhelming soul can be further complemented by a little bit of rogue multiclassing if your kobold took the jester alternate racial trait. Diplomancy at its silliest! A more exotic choice for the more talented players out there are word casters. Words of power is one of my personal favorite types of spellcasting, and some of the combinations it allows make for some silly spells. “Selected Lengthy Sunshine” is one of my favorite combinations along with “Personal Cramp”, and shouting these out during a game can be quite entertaining (though be careful you don’t run the joke into the ground). Strangely enough, alchemists are able to become word casters. If drinking pseudo-spell potion wasn’t enough, now they can shout them too (or if I’m lead to believe the flavor text of their class, they shout the spell into a bottle to then be drank… weird). Magus is able to use words of power as well, which really makes me curious about how they shout their spells into their sword before using spellstrike. Words of power is one of the most creative of the variant magic rules. But how about something that doesn’t require changing the way you cast spells? Magus. It’s a unique class, able to cast magic and fight with a sword at the same time. It’s also my personal favorite class right next to the occultist and kineticist. But, magi have a magic item that makes their ability to spellstrike all the sillier. It’s a simply named item – spellstrike gloves, and they’re 8,000 gp. So, any single-to-multi targeting spells you have that you want can affect the enemy and be delivered with your spellstrike. At 10th level, assuming you have the Selective Spell metamagic feat, you can effectively spellstrike with a fireball, and watch as everything explodes around you and you’re just fine. If you’re the mind blade archetype and able to cast mind thrust, you can channel that destructive mental capability into your brain afterward. But, this doesn’t even top the best combination for high-level spellstrike shenanigans. Behold, explode head! Our friend the magus stabs or slashes at the gut of this poor monster that was just defending its lair, and suddenly after stabbing it in the gut its head just explodes. No warning or reason behind it, it just does. Pretty gruesome. There are plenty of bizarre combinations with spellstrike gloves and a bit of ingenuity, just so long as the spell isn’t a created effect (like say, secure shelter). Next, let us take a look at our favorite stone-faced buddies. The oread! Oread isn’t too bad as a race altogether, +2 Str/Wis, -2 Cha. But, what makes them pretty funny is the crystalline form alternate racial trait. So now instead of being rock man, you are now crystal man. You gain a +2 to AC vs. rays, and can once per day deflect a ray as if using Deflect Arrows. What this makes me wonder is if that allows someone with Throw Back Arrows to effectively grab the ray and throw it back at the caster. Probably not, but it’s a funny thought though. Kobolds, astomoi, and oreads aren’t the only strange races though with bizarre combinations. Wyrwoods are the lovely small-sized constructs as made by wizards with way too much time and wood on their hand. Being constructs, wyrwoods lack a Constitution score and thus are not subject to Con-based effects and abilities. So what would work best for a Wyrwood? Wyrwood wood kineticist. Using one of the aforementioned archetypes that change your element (probably not the dark elementalist because it requires you to be evil, and most games don’t like evil), you can play out your fantasy of being a wood man summoning wood to entangle and blast your foes. Sure, you could have been a wyrwood druid, but that’s too easy. You want to be the wood, not be a slave to it. Some of the wood abilities and powers are pretty good though, including the ability to give undead a nice blast of positive energy or even poisoning people with your spindly twigs. Now, this one is incredibly unlikely to be accepted to any game you play, but this is more of just a thought exercise and a pretty funny one. Take the lovable multi-armed bug men the trox. They are incredibly powerful Strength-wise and have an affinity for physical classes (they take a -2 to all mental stats). So, why not make them a magus? A bladebound magus? Now, already this isn’t a bad choice but the silliness is only starting. Bladebound requires you to have a one-handed slashing melee weapon, a rapier, or sword cane. Now, if you want to read the rules a bit a Medium-sized chainsaw for a trox is technically a one-handed slashing weapon for them because of its size being one step smaller (a small sized chainsaw would be a 1d12 light weapon for them). So, with that in mind, you can make your human-sized chainsaw your black blade, effectively having a 3d6 black blade with a pretty great 18-20/x2 crit range. Granted, this is assuming your GM allows technological weapons and also assumes he’ll allow it based on this fact. If not, a null blade fits this rule even better than a chainsaw. It’s more expensive, and admittedly not as cool as one-handing a chainsaw and placing a trusty fireball as mentioned above with the spellstrike gloves and watching everything around you explode into flames after you just hit someone really hard with a revved chainsaw. And for GMs, this would make a strange yet memorable encounter I’m sure. This last one is a prestige class and isn’t so bizarre, but it’s a prestige class I feel could use some love. The stalwart defender. D12 hit dice, eventual DR 5/-, and the ability to not be flanked which is great if you’re a fighter or other class that doesn’t get uncanny dodge. Their defensive stance is also pretty good for a small boost, as well as their AC bonus and defensive powers. At 10th level stalwart defender with adamantine full plate and the two increased damage reduction defensive powers, you can end up with an amazing DR 10/- which helps greatly. Last word is also a pretty decent ability, allowing for you to get a free attack in if you’d be knocked unconscious or killed by an enemy’s attack. 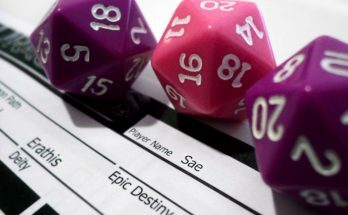 You effectively roll the damage dice twice against the enemy, then fall unconscious or die. Some of the other stalwart defender’s defensive powers are pretty good also, but just improved damage reduction. Intercept is good for protecting the squishy spellcasters, and renewed defense is a nice once per day heal to be used in a tight situation, probably best before some lucky enemy would get a hit off that’d activate last word. Finally, unexpected strike is especially useful against those pesky characters who don’t provoke when moving or used Acrobatics to try and tumble through your threatened squares. And nobody can negate your ability to always provoke, which is pretty great. There are plenty of character creation combinations out there, enough that I couldn’t possibly talk about all of them in this one long ramble of a blog post. A lot of new players I’ve had struggle because of this, and feel overwhelmed by the amount of options they’re being presented with. Even long-time players I know have this struggle, myself included. Some of this I’ve been able to prevent happening by trying out new thing I’ve never done before with the system. Picking archetypes or race combinations I don’t normally play. And for GMs, don’t be afraid to experiment or allow your players to experiment. This includes the prejudice involved with 3rd Party Products. Very few are overtly overpowered, and a good deal of the options available for people are actually weaker than the classes that are available currently. So if the player wants to play as a Dragonrider or a Machinesmith, don’t be so hasty on saying no. Be sure to take a look at what is being offered to the table and examining whether or not it’s good for the game. I know some GMs lay blanket bans overall 3rd party products (or sometimes over everything Pathfinder that isn’t Core Rulebook and Advanced Player’s Guide). But, these blanket bans should be lifted, or at the very least “bring it up to the GM for approval first”.